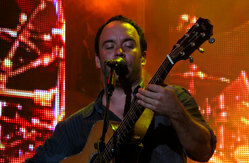 Dave Matthews performing at A Concert for Virginia Tech, September 6, 2007. 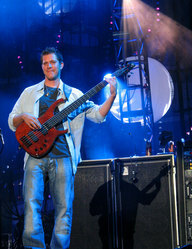 Dave Matthews Band bassist Stefan Lessard performing at A Concert for Virginia Tech, September 6, 2007. 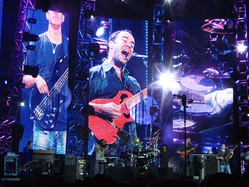 A fan expresses appreciation for the Dave Matthews Band (DMB) prior to the start of A Concert for Virginia Tech on September 6, 2007. 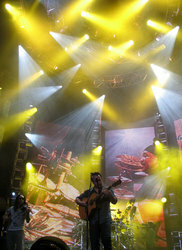 Dave Matthews Band performs at A Concert for Virginia Tech, September 6, 2007. 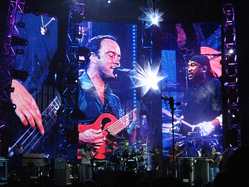 A panoramic made of photos I shot from my seat in the South Endzone stands. 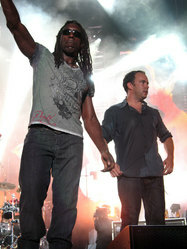 These were taken just before the Dave Matthews set began.